From joining Whitbreads in 1984 Robin has developed and led multiple pub & restaurant brands with other leading UK hospitality sector PLCS including Diageo, Scottish & Newcastle and The Restaurant Group before joining YO! Sushi in 1999. Over 18 years, Robin built this iconic fast-casual popular restaurant chain from 3 to ~100 company restaurants both in the UK & USA, including 16 franchise restaurants in international airports and the Gulf. In Nov 17 YO! Sushi acquired ‘Bento Sushi’ (supermarket kiosks and sushi supply company) base in Canada creating a $200m+ t/o group. Robin led YO! Sushi’s MBOs in Sept 03, Mar 08 & most recently in Nov 15. His management philosophy is simple as he agitates for ‘continual improvement’ on ‘5 Ps’ - People, Product, Property, Promotion and Profit. 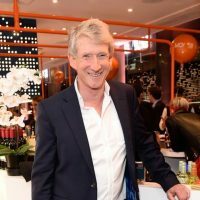 He has been recognised by MCA’ Retailer of Year, ‘Catey’ Group Restauranteur, ‘Peach’ Icon awards and received an OBE from HM for ‘outstanding services to hospitality’ in 2016. The YO! Sushi team has been recognised over the years for design, company, menu, technology and as an outstanding employer. Robin is married to Fi & has 3 teenage children, lives on a wonderful if muddy farm in Surrey, loves hiking, skiing, sailing, MTB and great food (what a surprise). From Jan 2018 Robin joined the Trispan Rising Stars team as an Operating Partner and retains NED roles with Eathos, YO! Sushi, Marston’s & Caffe Nero (& sits on the sectors ALMR Board).